The date is 29th of June 2008, the venue Ernst Happel stadium, Vienna. Clean through on goal Fernando Torres does what everyone in the stadium expects him to – dink the ball delicately past Jens Lehman and into the net. As the Spaniard celebrates scoring the winning goal for Spain in the Euro 2008 final against Germany, his elated expression tells the story. At 24 Torres had seemingly fulfilled his early promise, in the eyes of many Spaniards the natural successor to Raul – then widely considered the best player Spain had ever produced. Fast forward three years and three months, venue Old Trafford this time. Torres, once again clean through on goal rounds David De Gea only to slip and fumble his shot wide of an open net from six yards. Again his expression tells the story, though this time it’s a rather different one. An innovative community enterprise in Old Trafford has welcomed the Supreme Court’s ruling last month over government plans to impose cuts on solar projects. 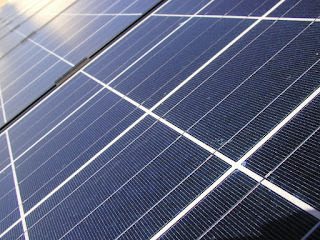 The current Feed-in-Tariff (FiT) of 43p per kilowatt-hour, paid to people in Britain for generating electricity through solar panels, was originally due to be cut to 21p from 1 April 2012. However, last October the government announced the new tariff would come into effect for all solar panels installed after 12 December 2011, causing anger and confusion within the solar industry. In March the Supreme Court's ruling that the cuts were unlawful was well received by solar companies, many of which had already invested in solar energy with the original tariff dates in mind. And they were not the only ones celebrating. On Sunday a group of activists convened in St John’s Centre, Old Trafford, for the official launch of St John’s Sunshine (SJS).